This piece earned recognition in The Denver Fifty. 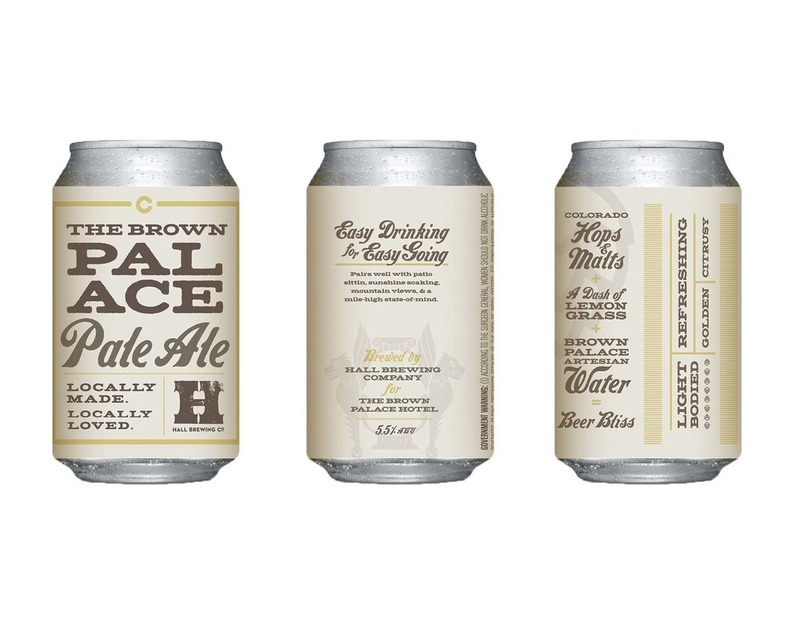 We had the opportunity to brand a Brown Palace exclusive beer, made with all-Colorado ingredients in a partnership with Colorado brewery, Hall Brewing Co. We made posters, packaging, glassware and we had a lot of fun doing it. When music industry legends visit Denver, there is only one hotel for them—The Brown Palace. 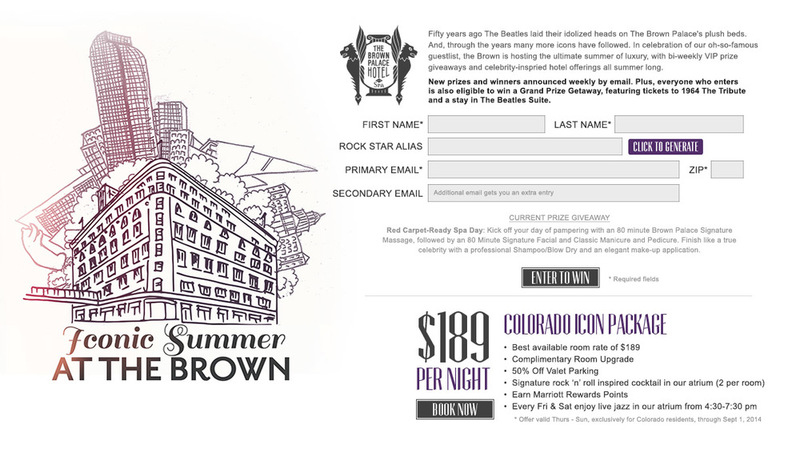 To celebrate the hotel’s history, we created a summer-long campaign complete with rock n’ roll inspired offerings and prizes, culminating in a grand prize “Fab Four” getaway, in honor of the Brown’s most iconic guests, The Beatles. We created a custom lockup to tie in the campaign with the iconic shape of The Brown Palace hotel and gave the hotel photography a backstage-style color treatment. Utilizing real records, our window installation invited passer bys to text in a code to enter giveaways and download an exclusive playlist featuring artists from the Brown’s famous guest list.